The 3 projects were run concurrently but completed as individual projects due to the different restraints of this heavily occupied building. The main reception refurbishment was completed within 12 weeks. Tenant access through the main reception had to be maintained throughout the duration of our contract. To enable this we erected a temporary access tunnel for the tenants, whist at high level a birdcage scaffold was erected to allow works to proceed without affecting the tenants access. A new feature ceiling and lighting was installed. 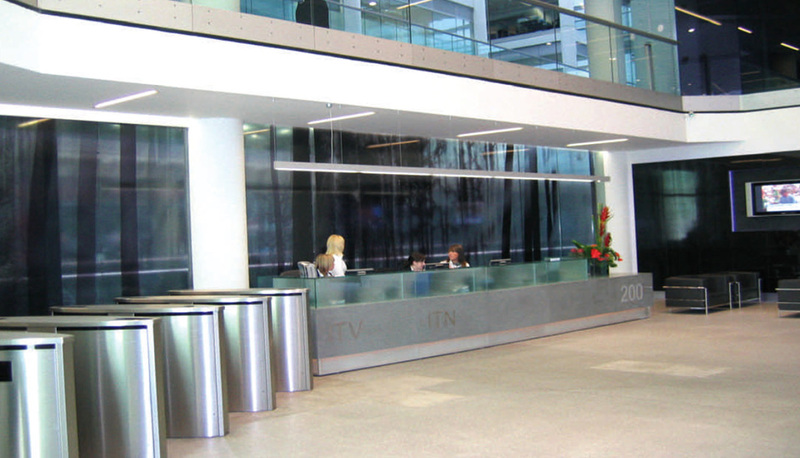 The old reception desk was replaced with a granite and glass desk and security access barriers were introduced. New signage, a tiled feature panel incorporating televisions and specialist artwork film, applied to the rear glass screen completed the new effect to the reception. The replacement of the carpet was carried out in small sections on a roll on contract, to ensure all areas remained accessible, with minimum disruption to the tenants. The toilet refurbishment comprised the replacement of the existing toilet cubicles and general making good to wall panels and floors. The lobbies serving the toilets had new ceilings, carpet and were re-decorated. 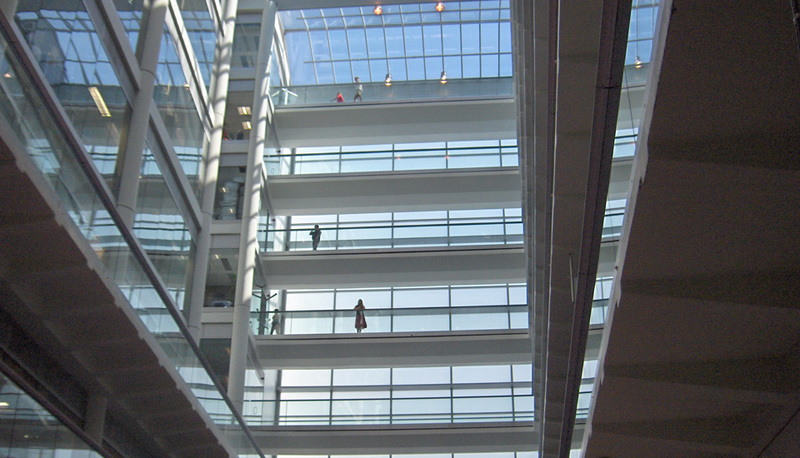 The refurbishment of this 2000m² office space was completed within 8 weeks, 2 of which were during the Christmas shut down period. Existing ceilings, partitions and electrical / data services and some air conditioning services were stripped out. New VAV units were added to the existing installation to ensure the floor was converted back to the original base build installation. Burgess metal ceiling tiles were installed incorporating LG3 2001 compliant light fittings. Two new distribution boards were installed along with under floor power. We replaced in excess of 500m² of computer floor pans and subsequently laid new carpet and re-decorated the entire area.